Hike the path less travelled; breathe in gorgeous sunsets on sandy beaches; surge through forests on two-wheels or splash in a Great Lake! 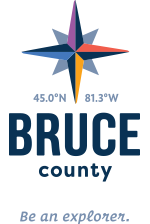 Bruce County is a place where children are encouraged to look under rocks, and parents help with the heavy lifting. Two hours northwest of Toronto, yet in a world of its own, the Bruce is part wonderland, part funhouse, where nothing is ordinary, much is unbeatable, and all is very welcoming. Visit our communities for ideas for your shopping, dining and sleeping experiences and the stellar community activities. Explore the Bruce in the Fall Foliage! Getaways: Explosion of Fall Colours on the Beautiful Lakeshore!